Send them an email with your address to request free sample capsules. Excerpt from website:: Enter to win our monthly drawing of a Super Cool Prize Pack and to receive our newsletter. Want free capsule samples? 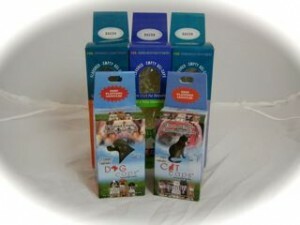 Email your mailing address to info@petvitamins.com. Visit PetVitamins.com for more info.